Following in the footsteps of last season’s twosome team-up of Kate Moss and Cara Delevingne, Burberry features another Brit model duo. 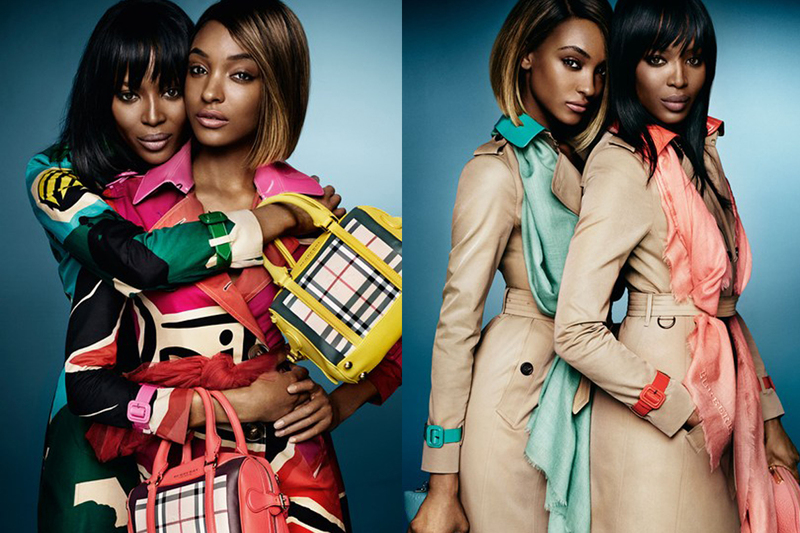 This time, for spring/summer 2015, it’s timeless supermodel Naomi Campbell with Jourdan Dunn and the images are spectacular! Lensed, as always, by Mario Testino and creative directed by the talented Christopher Bailey. I love the mix of new and experienced that Burberry is harnessing, Isn’t it great to have amazing women to look up to? Ageless beauty wins again!